Working on a Saturday 1 day weekend for me! Where was this? 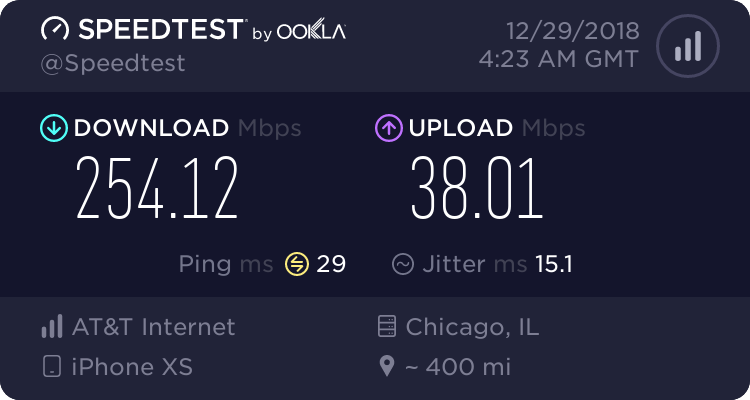 I am still trying to get a feel of where in Minnesota Band 14 is showing up. I am in Rosemount MN and I haven't seen it yet here. In front of the Apple store in Towson mall: I’d say this is the main tower for Bel Air, covers 4 shopping centers, the mall and Bel Air HS/MS. Can anyone identify what bands are being used by the panels? On the other side of the tower new personal record on LTE lol. 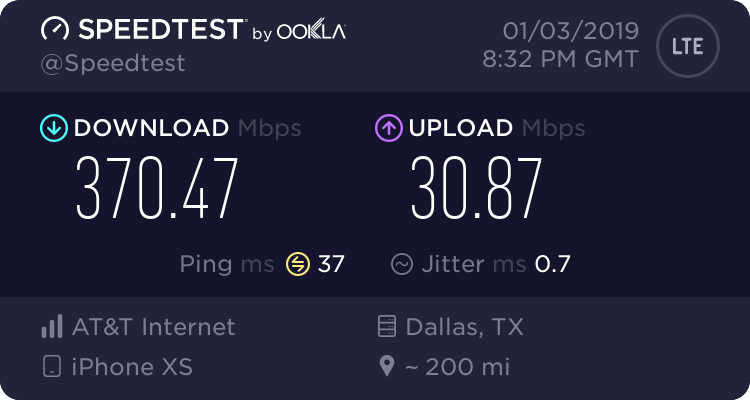 Beat old by 1 Mbps. Last edited by Maryland; 02-10-2019 at 03:08 PM. I don't think so. 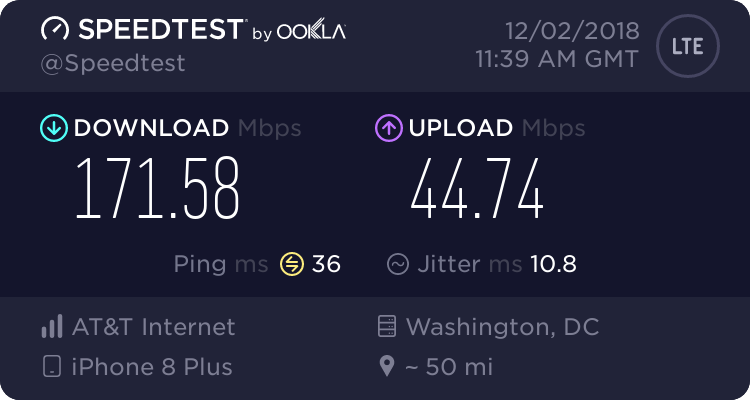 Download is possible but 51200 kbps UL bandwidth converts to 51.2 mbps which is higher than what a 10 MHz upload carrier can yield. Yeah, I'm not really too sure then where those numbers came from. The download on 10mhz 4 x 4 256QAM should theoretically be at 300 mbps, no? You have to be on a TAC that has the icon enabled. So either the site's in your TAC haven't all been updated yet, or the software update hasn't been pushed out to your local sites. You also have to be on the newest beta. If I'm calculating this right, the max DL on 10 MHz of spectrum with 4x4/256 QAM is 195.7 Mbps. You have to be on the Developer Beta of iOS 12.2. The TAC also must be updated to reflect the icon. For instance, the TAC around my mall area has it, but the TAC my home sites are on, doesn't have it yet. Yup, I believe you're right. 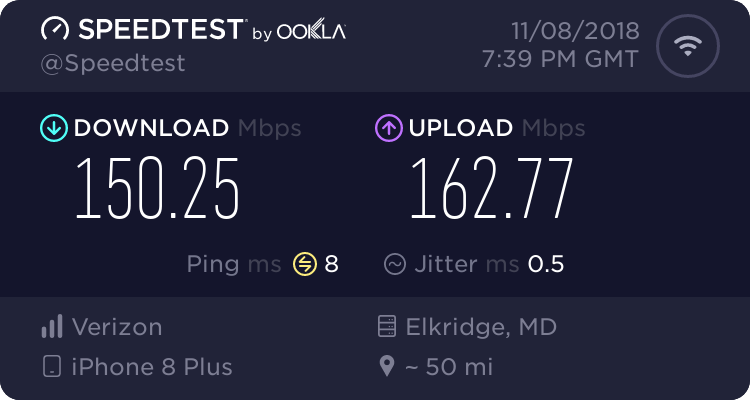 Add the 25% overhead and your at around 150mbps. I was getting confused with 20 mhz for some reason. At least ookla didn't cave into they lie. It's all over Duluth. But this was Band 4, not 14.